Schill Grounds Management has a unique take on what sustainability means in business today. It's a concept we extend to every aspect of what we do: within the walls of our office, on our clients' properties, and out in the community. 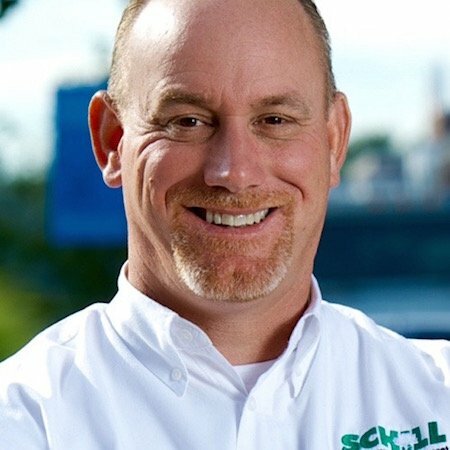 So when Schill Co-Owner and President Jerry Schill had an opportunity to tell the small business community about Schill's commitment to sustainability — and what it really means today, far beyond buzzwords and recycled paper — he jumped at it. 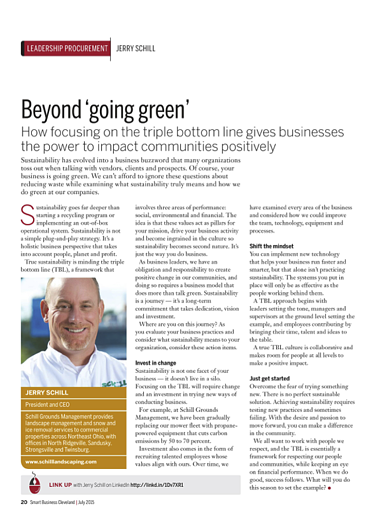 Learn more about the TBL (triple bottom line) and how to adopt a mindset geared toward true sustainability by reading his column. Whether you're a business owner, property manager or fellow industry leader, we hope you'll find a takeaway for your own situation. Read Jerry's article on Small Business Cleveland's online edition. Learn more about Schill's stance on sustainability by accessing our FREE position paper, Corporate Sustainability And Your Bottom Line.